This was created for the winter edition of Kobold Quarterly at the end of 2010. In the accompanying mini-adventure the PCs have to make a beer run. The problem is that the beer is in a mead hall and the mead hall is occupied by giants. With bears. The map comes with a fighting pit, bear enclosure and a mammoth skull throne. Everything you could possible want for a good evening’s drinking. High res jpgs (at 100px per square) with and without grid for use in any VTT or to be printed out at your local print shop as a poster map. Multi-page pdfs that can be printed out for you to use at the game table – in both colour and printer friendly greyscale. 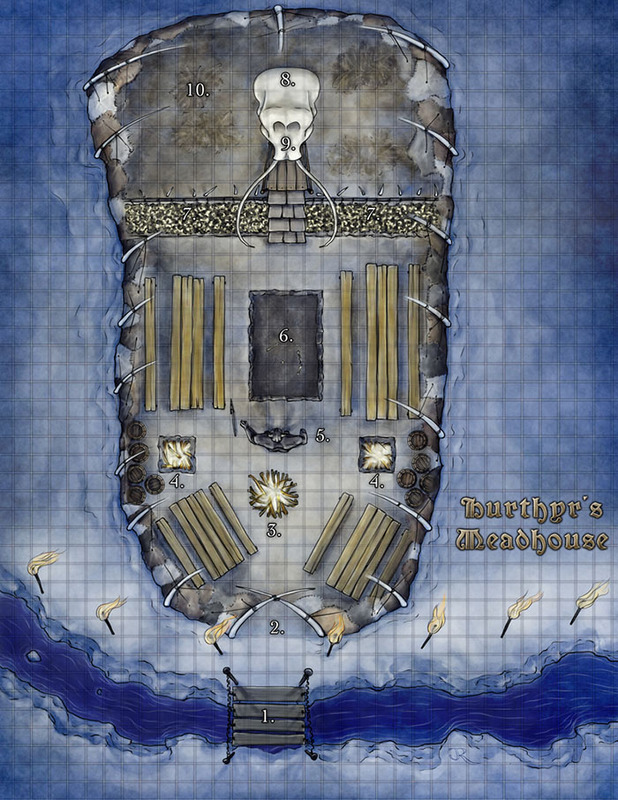 Maptool campaign files with light and vision built in for both 4.0 and Pathfinder rules.